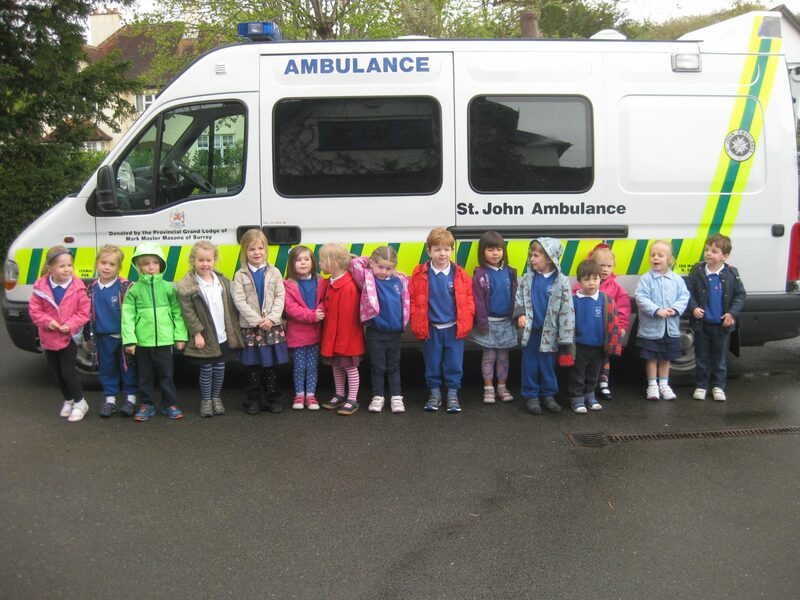 The Kindergarten children have had a very exciting week with visits from the Police, Ambulance and Fire Brigade. Our local Community Police Officer, is always a favourite with the children especially when he turns the police car siren on! This year, however, the Fire Brigade won hands down. We were visited by Blue Watch from Painshill Fire Station, who were obviously having a quiet morning. The look of glee on the children’s faces as they hosed down the forecourt was something to behold. Actually, it would be difficult to say who had the most fun – the children, the staff or the Firemen!